February 2nd could be considered National crepe day in France. Did you know that Septembre 26th is “pancake day” in the US? 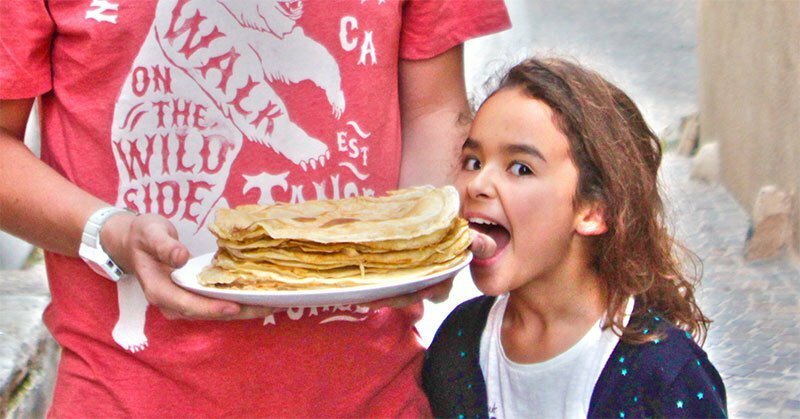 While the US and Canada are waiting for the groundhog to poke its cute little head out of its hole on groundhog day, French people gorge out on eat crepes to celebrate “la Chandeleur” which has deep religious roots. Very few countries celebrate “La Chandeleur”, known as Candlemas in English, by eating crepes except Belgians and maybe some French Canadians. I remember my aunt flipping a crepe while holding a coin a few times but it wasn’t a regular thing for us. Can you imagine— a whole day dedicated to eating the equivalent of French pancakes? It just doesn’t get any more cliché than that. Do you know how to pronounce Crêpe in French? Crepe is pronounced “K-R-E-P” (rhymes with YEP). Click play below to hear how Crêpe is pronounced. “La Chandeleur” comes from the French word chandelle (candle) and refers to the custom when clergymen would bless candles before lighting and distributing them to people for the mass. The light of the candle is symbolic of Christ as “the light of the world” which explains why Chandeleur is also known as “Fête de la Lumière” (celebration of the light), not to be confused with Lyon’s “Fête des lumière” in December which means festival of lights. 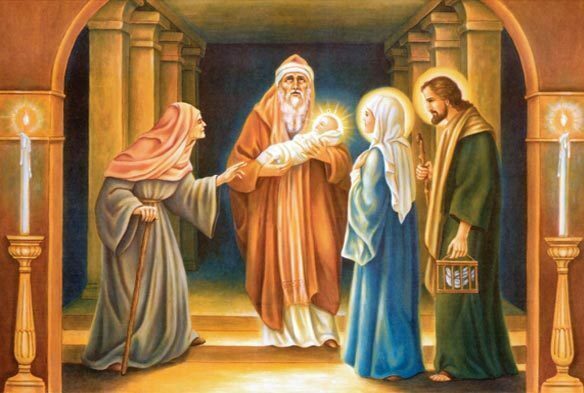 This celebration of lights was to commemorate three occasions in the Christian religion. Despite its religious roots, “La Chandeleur” is now somewhat of a nonsecular tradition in France so everyone, no matter what their religion can partake in eating crepes. 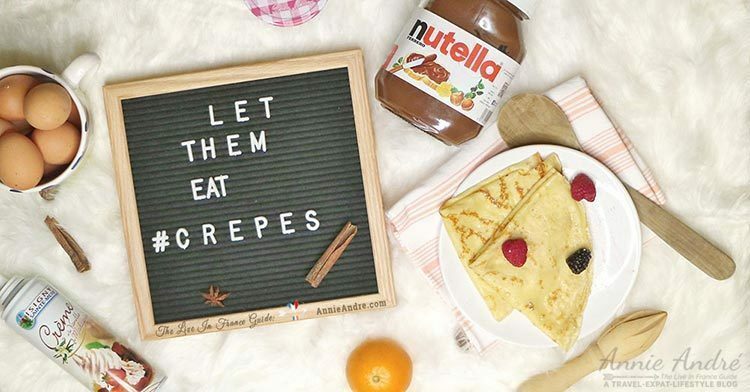 You’d be hard-pressed to find a French person who can tell you why they eat crepes for Chandeleur but the custom can be traced back to superstitions that date back to the Roman times. It was believed if you made crepes, it would bring you good fortune and a good wheat harvest. But the crepe had to be made a special way. 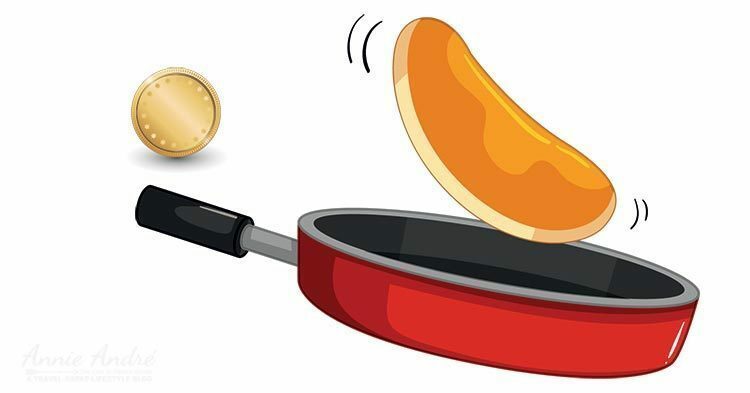 You were supposed to flip the first crepe in a pan with your right hand while holding a gold coin (preferably a gold Louis coin) in your left hand. The gold coin was then rolled into the crepe and placed in the master’s room on top of a cabinet until the following year. The following year, the coin was removed from the year-old crepe and given to the first poor person they met to ensure prosperity until the next chandeleur. Makes me think of good karma. Peasants also believed that by eating crepes, they were ensuring a healthy wheat harvest for the coming year. Today, candlelight processions and other rites no longer exist but the tradition of eating crepes on Chandeleur remains and although extremely rare, some people still do flip the first Chandeleur crepe holding a coin. You might be interested in reading about another holiday called L’épiphane where you eat a fluffy brioche cake and can become king for a day. 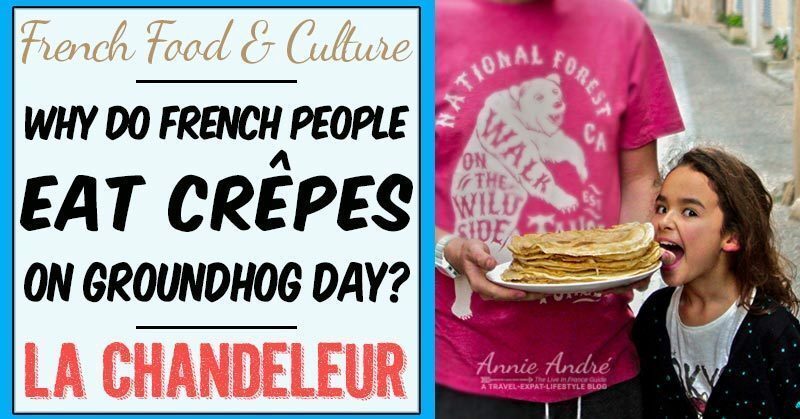 Now that you know that national crepe day is actually called “la Chandeleur” in French and also “Fête de la Lumière”, you’re probably wondering what all this has to do with groundhog day? 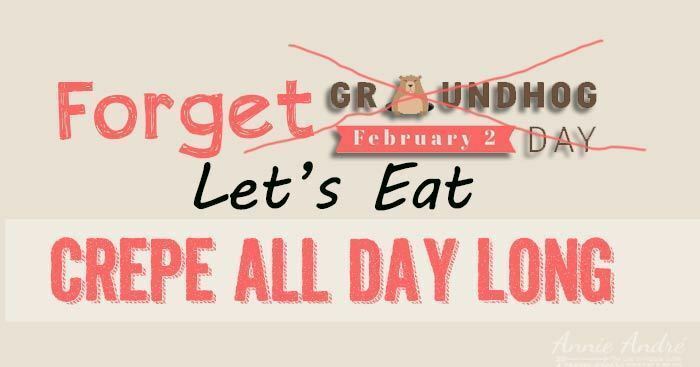 For starters, both Chandeleur and groundhog day fall on the 2nd of February, but they have much more in common than just the same date. The groundhog tradition shares some of the same weather folklore or beliefs are associated with Candlemas Day and the days of early Christians in Europe. For instance, here is an English song which talks about the weather which by now you’ve figured out was important for the upcoming harvests. The groundhog day tradition sounds pretty similar. If the groundhog sees its shadow, this means thirty days of winter still remain and it goes back into its hole. If the groundhog DOES NOT see it’s shadow than spring is right around the corner. In the US and Canada it’s a groundhog, but in many other cultures, the groundhog is replaced by another animal. For instance, in parts of France, it’s believed that if the bear comes out of his cave and sees that the sky is clear, it goes back to its cave to sleep for another 40 days or 6 weeks because it knows that the clear sky is only temporary. In other parts of France, it’s a wolf or otter while in Ireland it’s a hedgehog. Crêpes are usually eaten with different kinds toppings such as Nutella, confiture or a sprinkling of sugar but never maple syrup. Some people also drink cider with the crepes. But crepes aren’t just reserved for Chandeleur in France. It’s eaten all year round usually for dinner, lunch or as a dessert but not for breakfast.